Welcome to the starting line! Be sure to sign in here, at the beginning or when you start reading. Remember, you do not have to have a blog to join us. You can sign in linking to Facebook, Twitter, Goodreads...wherever you will be updating from. And you don't have to start at the beginning. Start on any day this week, or if you're working all week, join us for the weekend. People can sign in up until Friday night at 11:59pm CST. I'll be stopping by and visiting you so I hope you will have your book piles/reading lists posted. 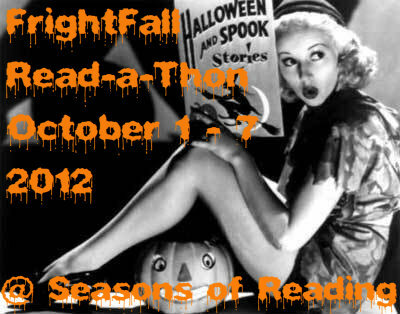 *hint hint* Make sure at least one book is a scary one. Also, a reminder that I'm allowing children's books for those of you who have kids...with one condition...five picture books equal one novel. Sound fair? Middle grade novels can count as one book. I will have the prize and giveaway page posted during the day on Monday so come back here to find it (sad to say, not as many prizes this time). I will also have easy access links at the top of the blog. There are going to be a couple of easy mini-challenges with prizes hosted by two of our participants. I will indicate next to the blog below if the challenge is live or not. Thanks, ladies! Nova at My Seryniti LIVE NOW! Melissa at Must Read Faster LIVE NOW! Okay, I think that's about it. I hope you all have fun this week. If you have any questions, please leave me a comment below. I will be posting my updates at my horror blog, Castle Macabre, so stop by and visit me. Happy Reading! I have joined. Now I just have to start reading. I hope I will have time to read a few hours this afternoon and I think I will start with Øjne i Mørket by Dean Koontz. I'm hoping this will help with my reading slump. Not sure how much time I will be able to put in, due to working, but am going to try. Good Luck to all participating. And thank you Michelle for hosting!!! Starting position posted to my blog this morning. Now I've got to buckle down to work and I'll only be reading during meal breaks and in the evening. I love read-a-thons! I'm sort of behind on the books I need to read for the year but this should help me catch up a bit. Thanks Michelle for hosting another read-a-thon!! Good luck to all who are participating!! Mini challenge is all set up! :D Now to start reading, I feel so far behind and it's only Monday!! Signed in and ready to read! 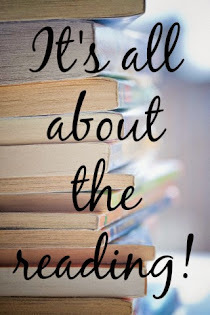 Happy reading, everyone!!! I'm ready! Starting the week off with Halloween is for Lovers by Nate Gubin. The Kingdom of Death is insanely depressing in this book, but I am hooked. Thanks for the Read-a-thon! I got so excited to dive into my first book that I forgot to link up my starting post! I have since corrected that oversight and plowed through my first book: Sadie Walker is Stranded! Sorry I didn't get this up yesterday, but I already had way too much posting on the first! Before blogging, I had no clue that there were other readers out there who loved reading scary books, especially in October, as much or even more than I do! But that's what I love about FrightFall! Thanks for hosting the awesome event, and the blog design looks fantastic! I finally got a post up today! I'm pretty excited about this now so I'm going to get get started on my reading while I still have a little free time. Thanks for hosting this by the way! I linked to my regular reading recap post since I mentioned the books I hope to read for the readathon this week. I've gotten a very slow start, but hope to really get some reading done on the weekend.